The Safe Community Coalition recently wrapped up two days of events with Julie Lythcott-Haims, author of the best-selling book “How To Raise an Adult”, on May 2 and 3. Ms. Lythcott-Haims’ presentation to the community on May 2 at McLean High School was an enormous success, selling out in advance and enabling over 570 members of our community to enjoy her engaging, informative and inspiring talk. If you were unable to attend, you are in luck! FCPS’ television network Red Apple filmed Ms. Lythcott-Haims’ talk and will be broadcasting it Tuesday, May 31st through Sunday, June 5th at 8:00 pm each day on Red Apple 21 (channel 21 on Cox, Comcast, Verizon FiOS). Tune in and tell your friends! The morning of May 3 Ms. Lythcott-Haims joined about 60 Safe Community Coalition stakeholders, including representatives from our sectors of school administration, mental health professionals, faith organizations, community leaders, business owners, and law enforcement. We held a workshop where Ms. Lythcott-Haims helped us brainstorm ways to translate her message into action. We generated many great ideas that we are already working to roll out in the 2016-2017 school year. We also held 13 book discussions in local schools where parents had the opportunity to share successes and struggles with their neighbors and fellow parents. 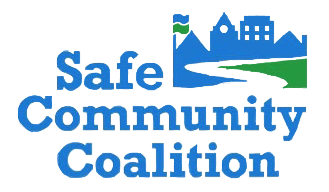 The feedback has been so positive that the Safe Community Coalition plans to partner with schools again in the 2016-2017 school year to facilitate additional conversations – but we hope you won’t wait until next year to gather your friends together to discuss books, articles, and topics you find relevant. One message we heard consistently was how helpful the parent-to-parent sharing of experiences, concerns, and challenges can be in freeing parents from some of the anxiety and uncertainty we all occasionally feel. Although we have completed most of the events surrounding Ms. Lythcott-Haims’ visit, we are not finished sharing her message of empowering parents to nurture independence and free their children from a narrowly-defined list of extrinsic successes, what Ms. Lythcott-Haims calls a “checklisted childhood”. We have heard from many of you who were motivated by Ms. Lythcott-Haims’ message and who want to work together to make a difference in our community. As a first step to continuing the conversation, the Safe Community Coalition has created a Facebook page entitled “SCC: How To Raise an Adult” Click below to access this site. If you use Facebook, please like our page and post comments, ideas, or articles you find interesting. Encourage your friends and neighbors to join in as well. We hope this page will provide a vehicle for us all to share and to brainstorm, but we will need your participation for it to be successful. It took an enormous amount of hard work by countless people to plan and carry out the “How to Raise an Adult” events and it will continue to require many dedicated volunteers to sustain the momentum. I hope each of you who values these programs will look for ways to support the Safe Community Coalition, whether it be via volunteering your time, making a donation, or spreading the word to others. We are an all-volunteer, nonprofit organization and depend upon the generosity of our community members to exist. Ms. Lythcott-Haims pointed out that in her many travels across the country she has seen only one other organization with the cross-sector, broad-based community model of the SCC and she urged us to lead the way in showing how a community can work together to create meaningful change. My conversations with so many of you make me feel certain that a lot of us want to see change for the sake of our children and for our families. Join our Facebook page, enjoy the summer with your children, and stay tuned for our next steps!